Balanced oil. Works deeply on resetting old patterns. Powerful yet gentle. We have found it extremely effective in working with the sacral chakra (emotional body and creation energy), heart chakra (love of self and love for the Divine) and the brow chakra (how you see yourself and others and how you interpret the world) We have found that Fragonia™ carries a unique energy pattern bringing the gift of the power of unconditional love. 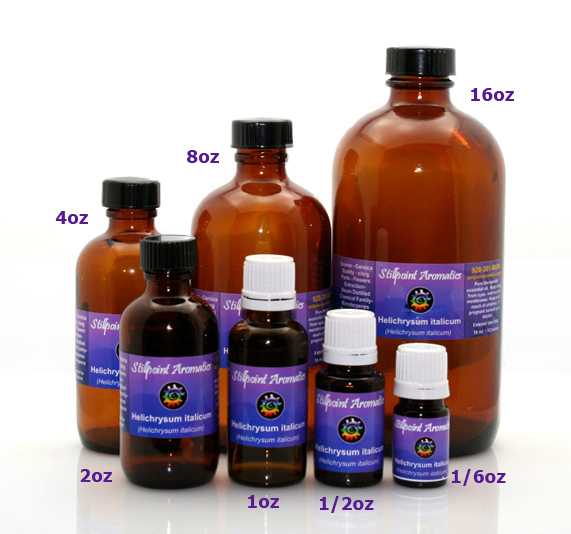 Fantastic oil that is sometimes referred to as the "magic oil". It seems to work on whatever level that is needed to help the body, mind, or spirit find balance. Very complimentary when combined with Kunzea (Kunzea ambigua). Try placing a couple of drops down the spine and on the occipital ridge with the intention to release any patterns that no longer serve you. Fragonia™ is a very interesting oil. According to the producer, there are several varying chemotypes of Agonis fragrans, and only one has the unique balance of this oil. It is an extremely balanced oil, with the oxides (1,8 cineole...which gives eucalyptus oil its distinctive aroma), monoterpenes (alpha pinene) and monoterpenols (linalol, alpha terpineol and terpinen -4- ol) in a near perfect 1:1:1 ration. Paperbark Oils raised a plantation of the specific chemotype, and trademarked the product name. John Day states, “In Europe, Pine and Eucalyptus oil were mixed to get the balance of alpha-pinene and cineole (to treat for specific respiratory/infectious conditions). In Fragonia™ it is naturally occurring in a balanced way.” Fragonia™ is an anti-inflammatory, mild analgesic, balancing on all levels as well as an expectorant, immune system stimulant and balancer. This is an extremely mild oil when applied to the skin and has a lovely fragrance. Fragonia™ is anti-infectious and its anti-bacterial properties appear to be just as strong as Tea tree oil. It is an effective anti-fungal against Candida albicans. 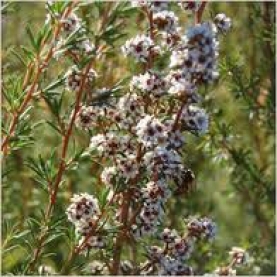 This oil has very good expectorant properties, not as strong as Eucalyptus, but good enough to be very useful in a steam inhalation treatment for colds, flu, and other head and chest infections. Fragonia™ appears to have a very positive effect in preventing or minimizing the symptoms of jet lag. The symptoms of jet lag and shift work are primarily due to a disturbance of the circadian rhythm and sleep cycle. Endogenous melatonin secreted by the pineal gland has been identified as contributing to the physiological regulation of circadian rhythms. Karen Wallwork in her clinical study on ‘Agonis fragrans and the Female Menstrual Cycle’ found that Fragonia™ seems to have the ability to assist in regulating the hormonal imbalance which comes under the control of the pituitary gland. The constituents of Fragonia™ allow it to penetrate, decongest and disperse allowing the body’s homeostasis to be restored. Create a stock blend using the recipe above. Use 8 drops of this stock blend in your diffuser. This recipe will yield approximately three diffuser sessions. You can also use the above resipe for one inhaler. No known specific safety concerns associated with this oil. This is a very balanced and safe oil. Very mild and safe on most skin types. Zeck R. The Blossoming Heart. Australia: Aroma Tours; 2008.